This cute pug dog figurine resembles our very own pet! He has a wrinkly face, curled tail and extra flesh in the right places, making him such a lovely dog! This pug loves a little drink or two to keep himself occupied while you are away! This Fawn Pug Dog wine bottle holder measures 6" tall, 10.25" long and 4.5" deep approximately. 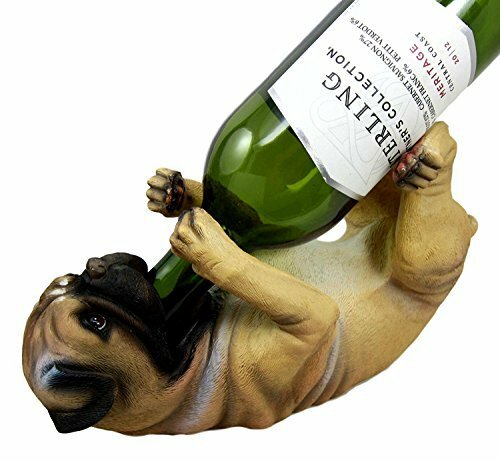 This Fawn Pug Dog wine bottle holder is made of polyresin, hand painted and polished individually. Color Tone may vary from pictures.